A lot of time and energy is wasted in maintaining a green lawn. That time and energy can be better spent elsewhere. You should invest in an artificial lawn to save yourself the trouble. An artificial lawn may be a bit expensive, but you’ll make the money back in no time. Water is also wasted in maintaining an organic lawn. 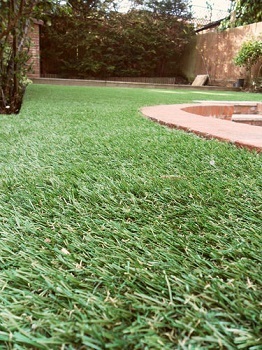 By switching to an artificial lawn you can prevent water wastage and save the environment. Water is a precious resource and you should try to conserve it wherever you can. Think about all those children in Africa who don’t have clean water to drink. Heating and cooling make up most of your electricity bill. This is neither good for you, nor the environment. Insulating your walls can help reduce some of your expenses. Proper wall insulation can keep your house cool in the summer and warm in the winter. You don’t need to break down your walls to insulate them, jut opt for exterior wall insulation. It’s a one-time investment that pays for itself in the long run. You’ll see the savings in your annual electricity bill. Go green by insulating your walls and turn off the AC and radiator. The easiest way to make your home eco-friendly is to reduce your utilities usage. Electricity and water are the two main resources that you need to conserve. Installing energy efficient lights can help reduce your electricity bill considerably. Reducing the water usage is also in your hands. Take baths instead of showers and try not to leave the tap on for too long. Simple measures like these will help you reduce your electricity and water usage, thus making your house eco-friendly. There are other things you can do to make your house green. You just need to figure out where you can cut-back. Perhaps the biggest investment you can make to turn your house eco-friendly is to install solar panels. After all, the only thing better than conserving energy is generating your own supply. All the extra energy produced by your solar panels can be sold back to the electric company to power neighbouring homes. Not only will your house be eco-friendly, but you’ll also help other homes become eco-friendly. Companies like SolarCity allow you to pay for solar panels through monthly payments. These are just some of the ways in which you can make your home eco-friendly. If you truly want an eco-friendly home, then hire a construction company that builds such homes.